Centenary Rosenwald School was built here in 1924-25. 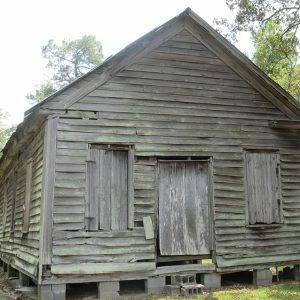 The two-room frame school was one of 500 rural schools in S.C. constructed with partial funding from the Julius Rosenwald Foundation. An average of 125 students a year attended, at first in grades 1-7 but later adding grades 8-12. Centenary School and Rains Colored School closed in 1954 when the equalization program built Terrell’s Bay High School, Terrell’s Bay Elementary and a new Pleasant Grove Elementary. Terrell’s Bay High was desegregated in 1970. It closed in 2003 when two County school districts were consolidated.